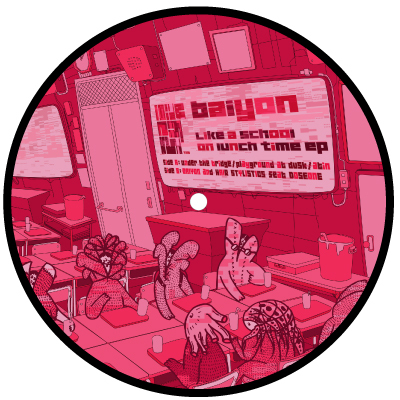 7″picture vinyl of the first album Like a school on lunch time. featured the collaboration track with HAIR STYLISTICS and DOSEONE on Side B.
also collaborated for the artwork with manga artist Tsutomu Nihei and Matic-log. released through my old label Brain Escape Sandwitch Rec.